"These are so wonderful. 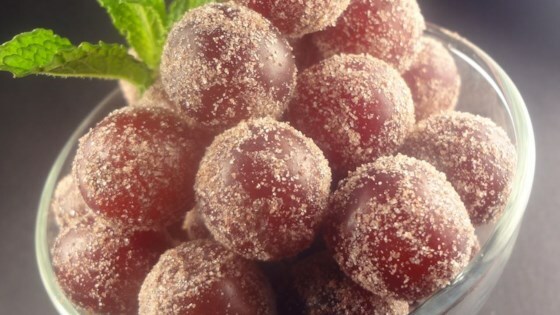 Made with flavored gelatin mix, these grapes make a simple yet elegant treat. Serve in a pretty glass bowl at a party. Instant hit." I freeze the grapes! My kids love this cool treat! I took this one step further and froze these after I rolled them in Jello--AMAZING. And I'll tell you, I've got the worst sore throat and these felt so good going down. We loved these!